TED GANSLER, M.D., M.B.A., M.P.H. Ted Gansler, M.D., M.B.A., M.P.H., strategic director, pathology research for the American Cancer Society, in the Society’s Intramural Research Department. His current research interests include studying cancer classification practices and trends in cancer registry data, risk factors for specific histological and molecular subtypes of cancer, and public knowledge and attitudes regarding cancer. 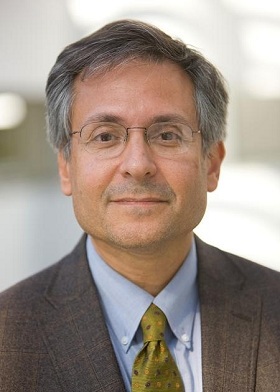 Dr. Gansler is also editor of CA: A Cancer Journal for Clinicians, where he helps coordinate the editorial board, plan the editorial focus, and develop journal policies. Dr. Gansler led the development of the Society's Cancer Information Database, helping make the Society the premier source of cancer information for patients and the public. He edited more than 30 books, including The American Cancer Society's Principles of Oncology: Prevention to Survivorship and The American Cancer Society's Oncology in Practice: Clinical Management. Before coming to the Society in 1997, Dr. Gansler was associate professor and director of the Cytopathology Division in the Department of Pathology and Laboratory Medicine at Emory University, where he currently serves as a clinical associate professor. Dr. Gansler earned his bachelor's in zoology from Duke University, his MD from the University of Pittsburgh, his Masters in Business Administration from Georgia State University, and his Masters in Public Health from Emory University's Rollins School of Public Health.